What happens when you combine a MK Application for a sophisticated machine with a sapiens? You get a Robotic Sapiens; a talking machine. Imagine being able to discuss your taste in movies you’re your television set or the best place to stop for the night with your car. 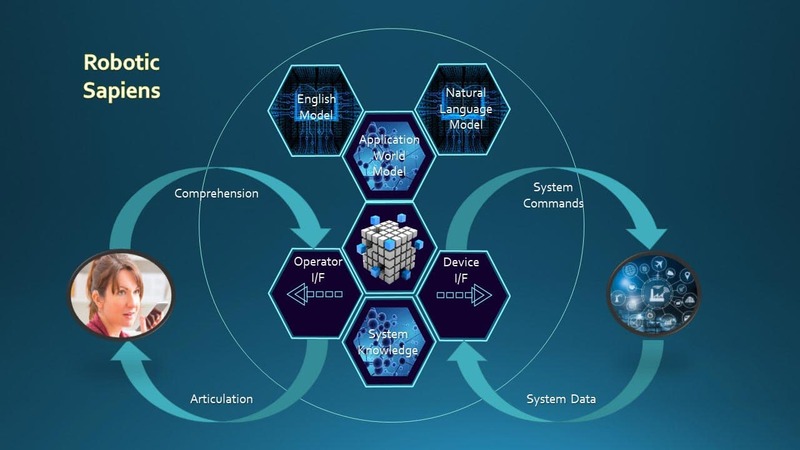 The domain models for Robotic Sapiens combine the system knowledge model which permits autonomous or interactive control and monitoring or as directed by with an application model. The later contains world knowledge that enables the device to converse with it’s users across a range of topics relevant, not only to the operation of the device or system, but the operator’s use and enjoyment of it. Finally, machines that understand what we want and do what we tell them. Continued evolution of MK technology and our Common Knowledge World Model, along with progress by others in robotic mechanisms and sensors, will enable a new generation of general purpose robots. Read More about advanced robots.